Join us in Las Vegas this year for NAAE Convention, November 29th through December 3rd. Book your room now to receive the early bird housing discount at the Westgate Hotel. Presented by Zoetis, the Veterinarians on Call YouTube channel features real-life vets doing a variety of tasks. This week, meet Dr. Matthew Turner as he prepares a herd of three-week-old piglets to be weaned from their mothers and transitioned to dry feed and water. Click here to watch the video. Our Annual Sale on Official Jacket Sets Is Here! Orders placed now can be embroidered before the jacket production peak season, which helps our overall production. Beat the back-to-school rush with this special official jacket set offer during the month of July. Jacket sets are pre-packaged with a combination of the most common men’s and ladies sizes. No substitutions. Jackets are embroidered with back lettering – chapter and state names – but no front lettering. Offer expires July 31, 2016. Visit ShopFFA.org. Summer is a great time to raise money for your chapter. National FFA Officer Abrah Meyer explains how in the latest episode of Officer 2 Officer. Looking to reinforce the concepts of advocacy? 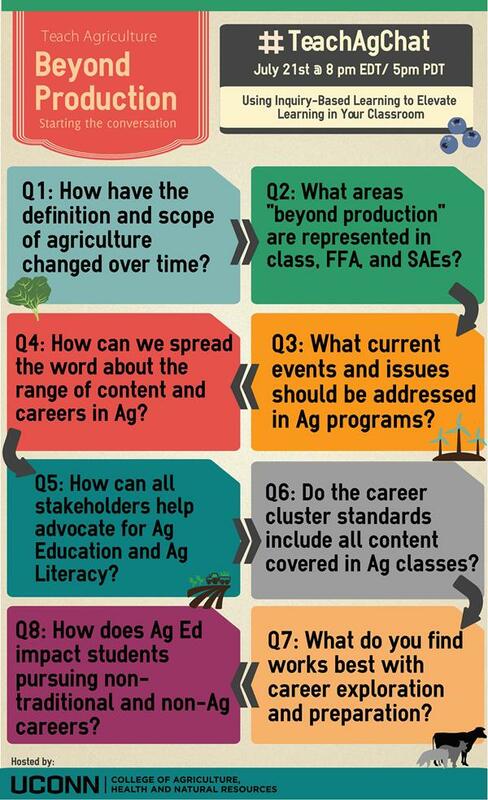 Check out the FFA exclusive resource Habitudes: The Art of Telling Our Story. National FFA has partnered with Dr. Tim Elmore and his team at Growing Leaders to also offer a discount at upcoming leadership training events. Friday, July 15, 2016: Congress passes GMO labeling law; robots roam down on the farm; and humans take flight in wingsuits. These and many more ag/science links in this week’s edition.